Zamdroid: The ultimate search engine marketing strategy: Rank first & 1. The ultimate search engine marketing strategy: Rank first & 1. How to write a competitive active blog post in order to rank high in Google Search engine. 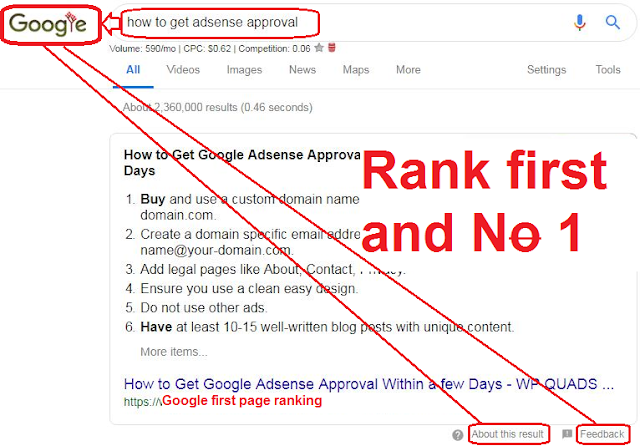 Ranking in google first page is not a favour or by luck. Ranking is got out of hard work, media present or paid article. Presently, there are millions of bloggers writing every second for the same search engine. How do you think your post will top the expert post already in first page? If you are starting blog, remove your mind from copy-and-paste. You will never rank with copying other people's work. You risk yourself of being arrested or google ban. Copying other people's content can't make you rank and if you don't rank high, no matter your post/article you won't get traffic. Remember, without traffic, even if you have google adsense you can't earn $1 in two weeks. In computer especially internet, we talked about GG ( garbage in garbage out) and WYSIWYG (what you see is what you get) meaning that the amount of investment input (garbage in) is suppose to give you output result, that is, garbage out. Here, we are talking about adverts. 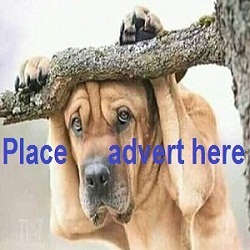 Adverts include your social media present, advert on Facebook, Twitter, Linkedin, ad words (google ads), YouTube, Instagram etc. If you want to advertise, you must plan budget, compare change in daily traffic. I ran advert on facebook targeting USA, only to get 40 impression and I clicked four about $5, this is bad for business of blogger. Newbies you can speed more money on ads and without good and interesting contents. During the advert your traffic will increase but returns/decreases immediately after the advert period. Let's target organic content first. Google says "content is the king" yes content is the key. Your niche plays a role which is important. We are going to show you how to go write a post that will surprise search engine and rank high. Let's choose a topic____"How to rank high in Google"
The phrase keyword here is "rank in google" At this stage, it is assumed that you have submitted your blog to Google web master. Every serious blogger must sign google AdWords (google ads) not necessarily for advertising but to enable you use google keyword planner. We have to type in google search bar first and type "rank in google" Make a note of all the dropped likely phrase. Copy all of them, then separate them with coma. Open your Google keyword planner and paste the suggested phrase. Note the most search volume and low in competition. You just get 30% of your post/article preparation. Which of the key word has monthly highest volume but competition is still low? Tap also from other keywords making that one with low competition and high volume the onions of your keyword, coin them together and write your catchy headline. You have added another 20% + 30% = 50%. Organize your content as if you're writing an essay. Paragraph by paragraph, insert keyword in appropriate place, use punctuation where it is suppose to, number and bullet appropriately. And more importantly your post must exceed 500 to 3k words. You have added another 20% + 50% = 70%. Make use of images appropriately = 5% = 75%. Create awareness in social media, another 10% + 75% = 85%. Internal and external linking will give 15% = 100%. Linking is about backlink. What is backlink? Backlink is a situation where you write a guest post on another blog. How to target Snippet and Google first page with your post. Organize yourself and article before writing. Use Google Keyword planner to mange your keyword. Coin your keyword to include high volume and less competition. Write your post as if you are writing an assay. Use internal and external back link. Promote your post in right way. There is a funny thing here, if the blog or forum you comment or write guest post hoping to link back to your blog uses "no-follow" all your effort ended up helping the blog/forum to grow and wasting your useful time. So, my method that work for me is internal link. You may ask how? But to rank my post, I can write two similar posts and link them together. Although you are free to use as many link as possible but stuffing your post with links is just like putting ads in every single paragraph. Think of your audience and users. Think also about your bounce rate. So use few internal link and ensure every single post in your blog is linked together. To be continued with bounce rate. Your new post can still rank in most of millions when you employ the above tactics. Seeing every blog post as you are preparing to write exam (final) will give you edge over others.